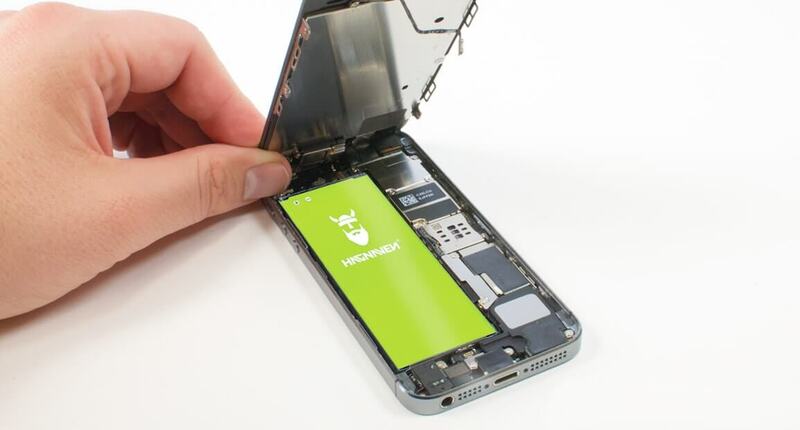 iPhone 5s battery swap- How to successfully swap for more power! It was the first smartphone with a 64-bit chip and set new standards in terms of graphics and performance. But even the fingerprint sensor let the iPhone 5s stand out from the crowd of smartphones. So why should not the battery in your iPhone 5s be outstanding? 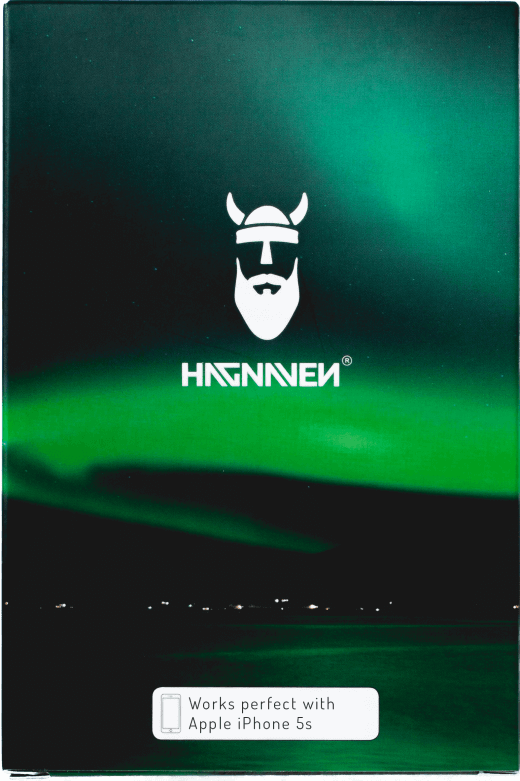 The Hagnaven iPhone 5s battery provides your smartphone with more power than you've ever seen. Get the power of the north in your smartphone! 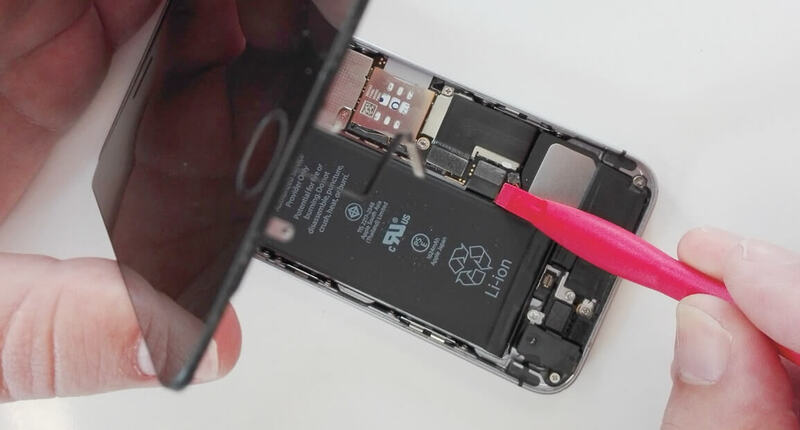 We'll show you how easy it is to replace your iPhone 5s battery. 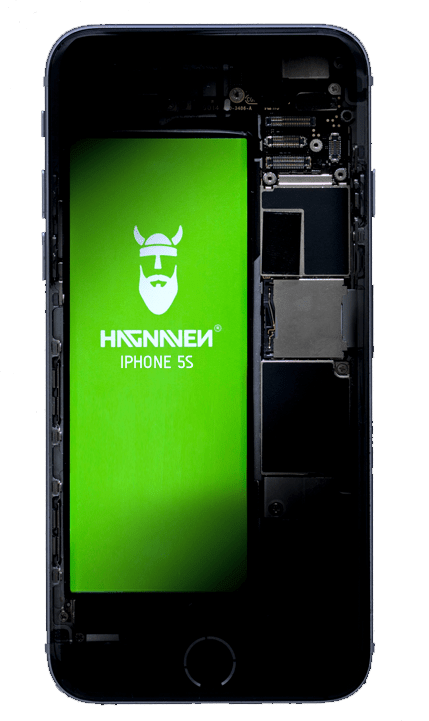 From the preparation, over everything necessary for the exchange up to the disassembly and installation we give you tips and assistance, so that the unbridled strength of HAGNAVEN also powers your smartphone! 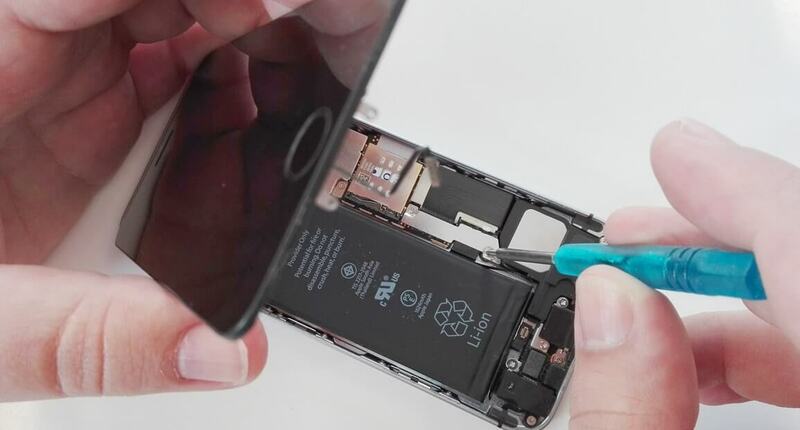 We'll show you the tips and tricks to the removal and installation of the iPhone 5s battery, starting with the preparation: First, find a place that is bright, level, and clean. Also make sure you have enough room to put all the pieces on the table. It is also advisable to provide a small bowl in which small screws or other parts can be stored while removing and installing the battery. As for the tools: Below you can see which tools are needed for the swap. Get these as well as the Hagnaven iPhone 5s battery ready so that the exchange can be organized and done quickly. Have you gone through all the points of the preparation and have provided tools, battery and other components for battery replacement? 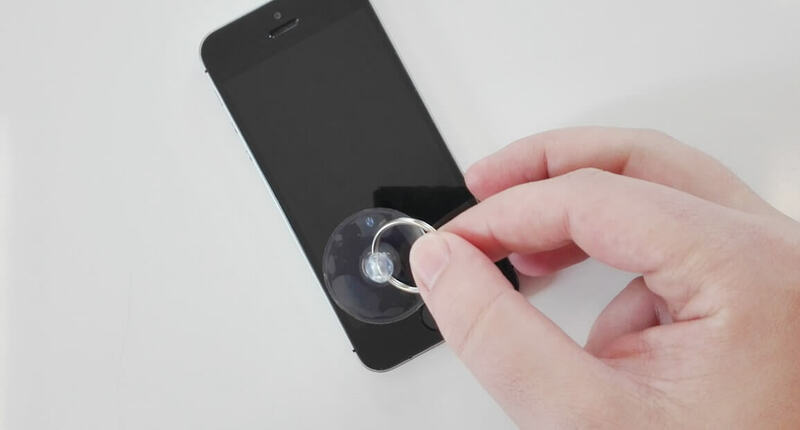 Then you can start changing the battery on your iPhone 5s. Always be careful, concentrate, follow the instructions, and follow the tips on the side. 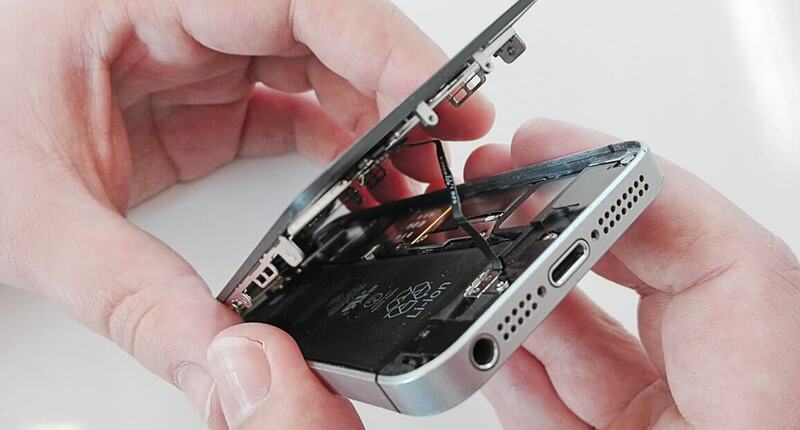 The disassembly and installation of the iPhone 5s battery will take about 30 minutes. 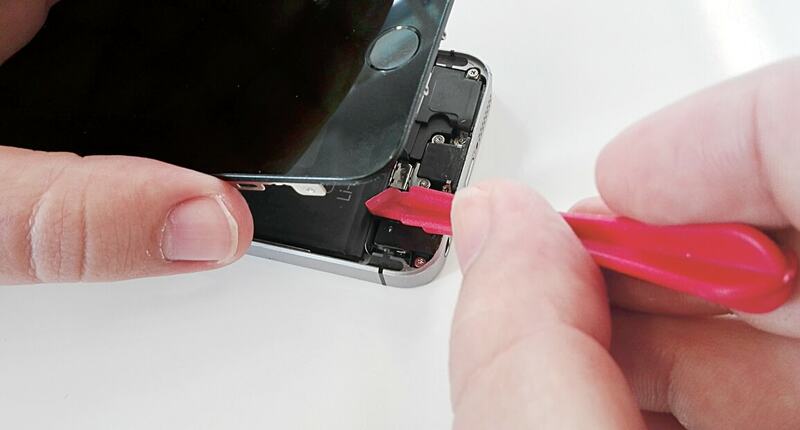 Be careful not to lose the screws, as they are used to close the iPhone 5s later. Now carefully remove the display from the housing. Start by lifting it slowly and carefully. 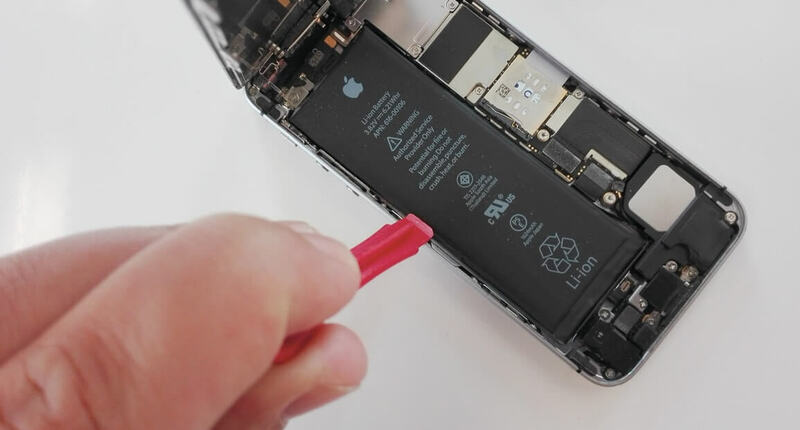 When unfolding, pay attention to the flex cable of the home button connector. 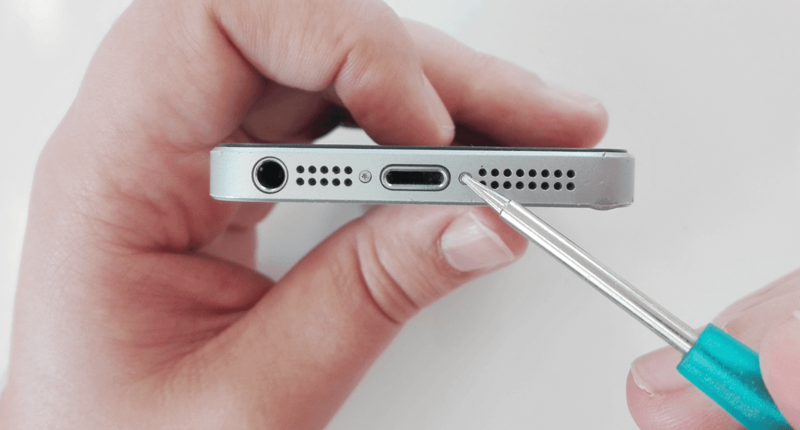 Carefully pry out the Home Button Connector with the spatula.